The majority of disasters address the occurrence of mass casualty events that happen outside of the hospital, where the hospital will be receiving large numbers of injured people in a short period of time. But what happens when the hospital, itself, is severely damaged during a disaster? Unfortunately plans have not been fully developed in the event that the hospital, itself, is severely damaged, either from natural disasters like earthquakes, or manmade events such as massive electrical failures or terrorist attacks. Of particular concern is the limited awareness of the obstetric units’ specialized needs in the world of disaster planning. In response to this gap in disaster-preparedness, a multidisciplinary committee was formed at Stanford Health Care consisting of obstetricians, obstetrical anesthesiologist, labor and delivery, office of emergency management personnel and postpartum nurses. 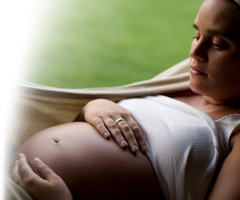 The purpose of the Stanford OB Disaster Planning Toolkit website is to provide a resource for the entire obstetrical community. The Toolkit addresses evacuation of L&D and antepartum units, and includes shelter-in-place plans for patients who are actively in labor. Additionally, the goal of the website is to receive feedback from facilities that use any parts of the Toolkit so that the tools can be refined and improved. We can neither predict or prevent disasters but preparing for them now is the best way to ensure the safety of our mothers and babies.